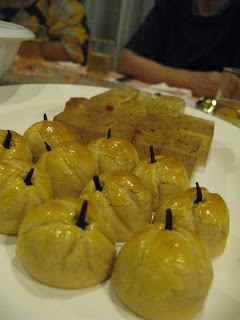 My family and relatives had Chinese New Year Eve dinner in Tai Thong Restaurant this year. It was nice to see everybody get together, laughing chit chatting and the kids running around. 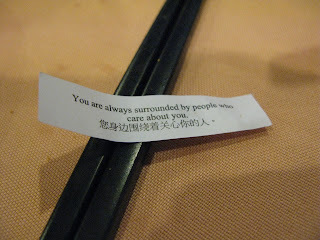 It's a tradition to have reunion dinner on Chinese New Year Eve. Since I only come back once a year, I always see something new every year when I'm back. My mom's family is huge. 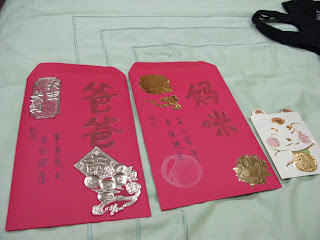 I got 4 aunts and 4 uncles. then I got probably 15 cousins. then nephew and niece.. don't even need to ask me. I lost count. I'm forgetful,I know. At least I can recognise their faces next time when I see them. 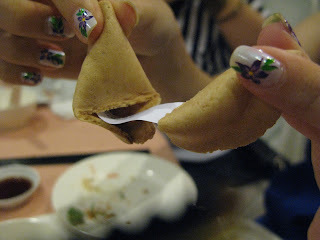 We had Yu Sang as our 1st dish. 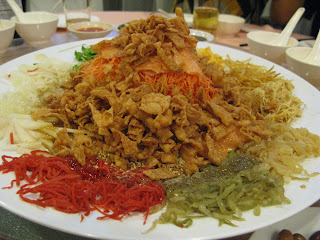 Yusheng , yee sang or yuu sahng (simplified Chinese: 鱼生; pinyin: yúshēng) is a Chaozhou-style raw fish salad. It usually consists of strips of raw fish (most commonly salmon), mixed with shredded vegetables and a variety of sauces and condiments, among other ingredients. Yusheng literally means "raw fish" but since "fish (鱼)" is commonly conflated with its homophone "abundance (余)", Yúshēng (鱼生) is interpreted as a homophone for Yúshēng (余升) meaning an increase in abundance. 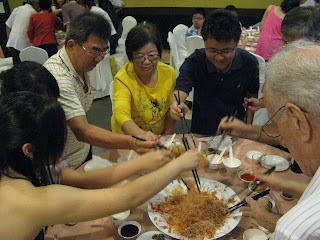 Therefore, yusheng is considered a symbol of abundance, prosperity and vigor. 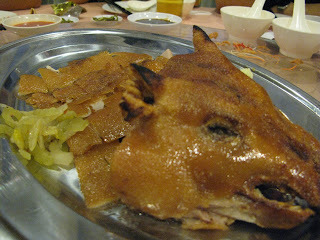 Then we had roast piggy~ oink oink.. 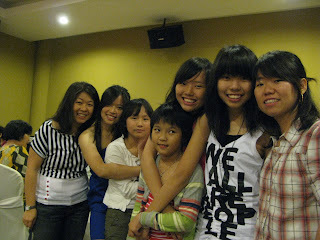 Took lotsa pictures with everybody..
Hope everybody had a great and wonderful Chinese New Year.